You might not be thinking about your heating system right now, but did you know Verne & Ellsworth Hann specializes in steam and hot water boilers? For over 63 years, Verne & Ellsworth Hann has been the premiere boiler installation, repair and maintenance company in Greater Cleveland. In the early years of the Hann family business, we were responsible for installing hundreds of boilers and radiators in Cleveland Height’s historic neighborhoods. Today under the ownership of brothers Chris and Bill Hann, our company continues this dedication to superior boiler service. 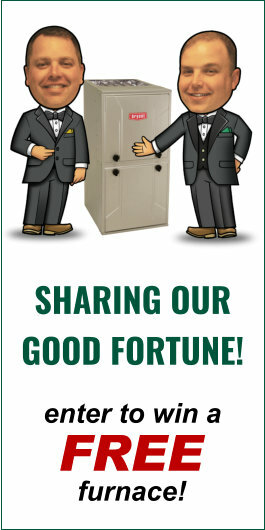 Verne & Ellsworth Hann is happy to help you select a new boiler based on your unique needs; provide a written estimate of installation costs; drain and remove your old tank; and install a new, high-efficiency hot water or steam boiler. 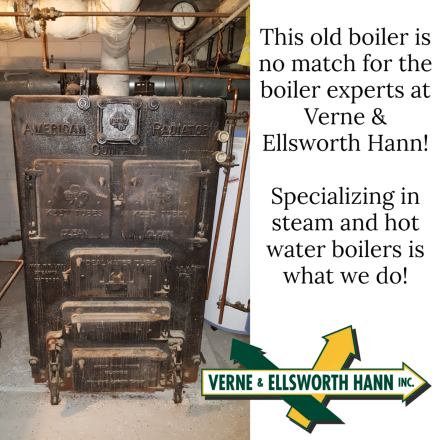 Contact Verne & Ellsworth Hann today to experience our exceptional boiler installations, repairs and maintenance service firsthand!